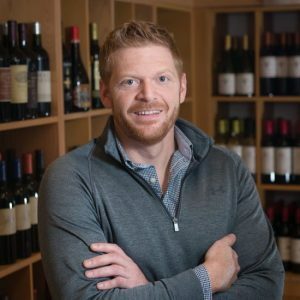 The fruit for Callaway Vineyard & Winery is sourced primarily from vineyards in the Temecula Valley sub-region which is located within California’s South Coast AVA. The Temecula Valley benefits from its proximity to the cooling influence of the Pacific Ocean, which allows a long, even and mild growing season. Fermenting at lower than usual temperatures causes longer and slower processing of the fruit, thus preserving and enhancing the crisp, fruit flavour of the grapes. This Chardonnay offers ripe stone fruit aromas, peaches and cream with light toast, vanilla and a supple texture. 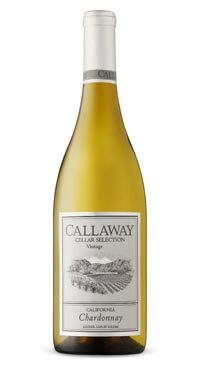 Callaway the golf brand was making wine way before it was making Big Berthas. Their vineyards are located in Temecula Valley California where they benefit from the cooling Pacific Ocean which keeps their grapes lively and full of fruit. The Cellar Selection Chard has inviting aromas of pear, green apple and a touch of baking spice. Tasting the wine reveals a rich texture with supple flavors of stone fruit and vanilla.If you are entertaining you may want to grab FORE!! bottles.